As part of Multicultural Book Day, we are one of many bloggers who are highlighting some fantastic multicultural books by some talented authors. The cocreators of this fun event are Mia Wenjen from Pragmatic Mom and Valarie Budayr from Jump Into a Book/Audrey Press. And don’t forget to enter our Giveaway, which you will find at the end of this post. Enough of Frankie Already! was written by Felicia Capers and illustrated by Christopher Fabor Muhammad. It is set at Jefferson Elementary. From the outside, it appears to be a friendly, average school. But things are not as they seem. Frankie likes to bully the grade 2 class in various ways. One young student, Amir has had enough of Frankie and his hurtful ways and one day decides to stand up to Frankie in an assertive and non-aggressive way. He asks Frankie why he is such a bully. As it turns out, Frankie, who is in the 3rd grade is being bullied by the 5th graders, who in turn are victims of the 8th graders. Everywhere one looks there’s a form of bullying on the playground. Amir talks to a teacher and explains things to him. He and his friends, who now include Frankie, make posters to hang in the halls of Jefferson Elementary to remind all of the students that bullying is not appropriate and will no longer be tolerated. At the end of this book, Felicia has included a page of questions for children to answer to help get them thinking about what bullying is and what they can do about it. This is a good way to guide children and have them think more about what they can do when they experience or see someone being bullied. The children have been enjoying this story over the past few weeks. Although they are home educated, they are able to take the lessons learned with Frankie and apply them to their own lives. It’s important for children to learn how to be assertive and stand up for themselves without being aggressive. This is something that I didn’t learn myself until I was in university, and I still have to push myself when needed. I thought it would be fun for my children to practice different situations where they have or might in the future encounter bullying. It can often be difficult for children to act out their own emotions. Kallista has just recently begun role-playing with her dolls and having them carry one discussions with each other and with her. Sometimes using props to role play instead can help children feel more comfortable so this is the route we took. Tristan and Kallista made some stick puppets using some multicultural foam stickers we had in the craft cupboard. They had a lot of fun making clothes for their characters and drawing different emotions onto their little faces. Next we talked about what bullying is, using “Enough of Frankie Already!” and some of the situations that Frankie made unpleasant for others at his school. The children used the puppets to create a situation and try to find a better way to resolve any problems. We spoke about what is and is not appropriate behaviour, and in which circumstances additional help should be found. 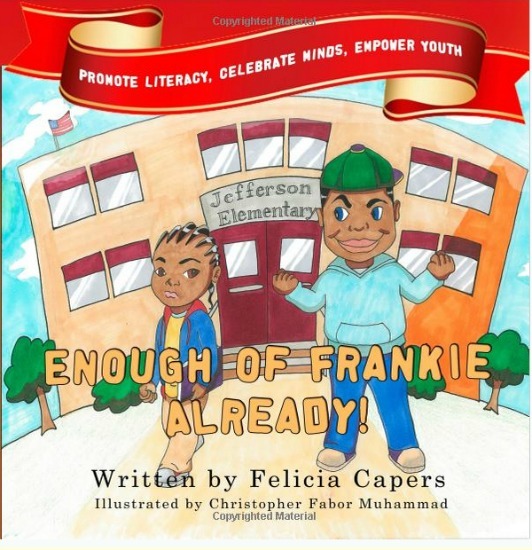 Tomorrow we have a real treat for you, when Felicia Capers, the author of “Enough of Frankie Already!” will be guest-posting for us and she’ll give us lots of great advice on how to be assertive and stand up to bullies at different ages. Don’t miss it! 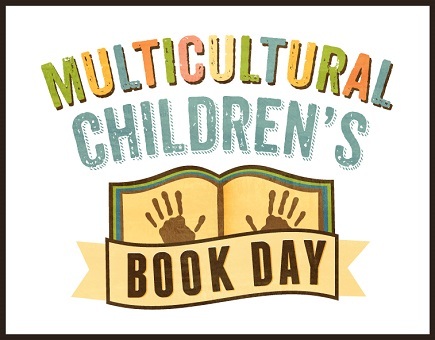 Multicultural Children’s Book Day’s mission is to not only raise awareness for the kid’s books that celebrate diversity, but to get more of these of books into classrooms and libraries. Silver: Junior Library Guild, Capstone Publishing, Lee and Low Books, The Omnibus Publishing. Bronze:Double Dutch Dolls, Bliss Group Books, Snuggle with Picture Books Publishing, Rainbow Books, Author FeliciaCapers, Chronicle Books Muslim Writers Publishing ,East West Discovery Press. Platinum Sponsor Wisdom Tales Press is hosting a book giveaway on their website. The winner will receive 6 Wisdom Tales Books of their choice. And our very own Felicia Capers is giving away a copy of “Enough of Frankie Already!” Please use the Rafflecopter entry form below. the way I would help my children with bullying is telling them that to try to ignore them. If that doesn’t help go to a teacher and tell them. If that doesn’t help tell us and we will get in touch with the proper authorities for you. I tell them that all the time. If the teacher’s don’t help them tell us and we will make it so that they don’t bother you again. Trust me when you say that you are getting a lawyer involved they want to do something about it. Ignoring the bully is the same advice I was given long ago. It’s interesting to see how role-playing can transfer over to real life, isn’t it? This looks like a great book for my boys 6 and 9 years old. They often can’t tell the difference between being assertive and being aggressive. Thank you for reviewing! It can be difficult to be assertive at any age, but it is important not to become aggressive. One doesn’t want to become the bully, either. I would recommend this book, and the extra bits at the back to help talk through it. Good luck. I am so glad that you have been able to turn something negative in your life into something positive for so many children around the world. I see that Varya also reviewed this book in China, so it’s been around the world, and the working together model is workable in all cultures. I tell them to try to ignore them, but if they can’t, they should tell a parent or teacher. We role play in the classroom so they can actually try out their own solutions. Classroom role-playing is fabulous! It must be so interesting to see the various ways children have to find a solution to bullying. Be a friend and a peacemaker! Great advice, this world could use more peacemakers! I tell them that anyone that disrespects them and makes them feel bad about themselves should be reported to the school and to me. I teach them that their education comes first and shouldn’t be hindered by children who’s intent is to make them feel bad so that they can feel better. Thank you, Becky. We really enjoyed being a part of the big event. Thanks for stopping by, have a great week! This looks like a well-thought-out and very useful book. I love your role-playing extension activity as well. Thanks so much for sharing at Booknificent Thursday! I really enjoy reading books with the children that have a lesson to be learned, as well as gentle help in guiding them in how to solve problems they may encounter. This book fits the bill. I have always tried to teach my children to treat others how you want to be treated and if you see bullying going on to tell an adult! The great Golden Rule! It’s a very good rule, but not everyone plays by the same rules. Telling an adult is certainly a good choice.